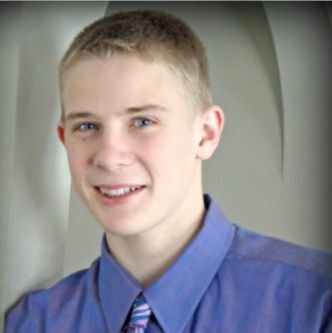 ST. GEORGE — A Desert Hills High School senior has not been seen since Tuesday morning. 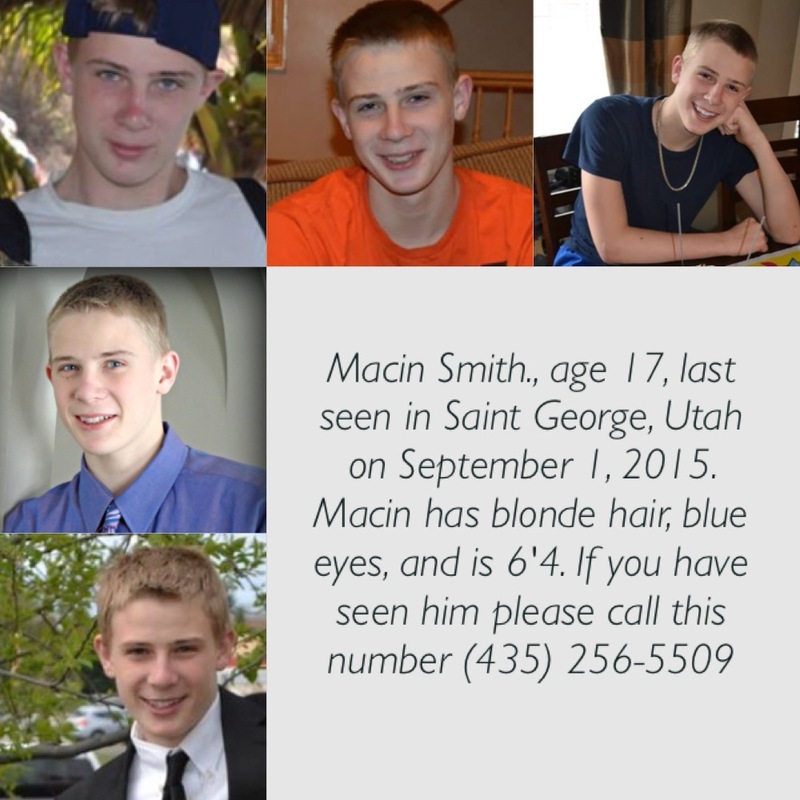 The public’s help is requested in finding 17-year-old Macin (pronounced “Mason”) Smith. 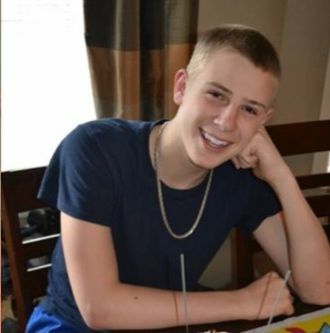 Macin Smith was last seen by his mother, Tracey Smith of St. George, Tuesday morning at 7 a.m. when she woke him for school. 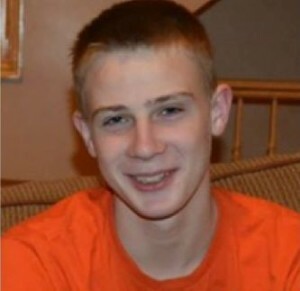 Macin Smith is described as 6′ 4″ and 200 lbs, with short blonde hair and blue eyes. He was last seen Tuesday morning at 7 a.m. in the Mulberry section of Little Valley area of St. George. 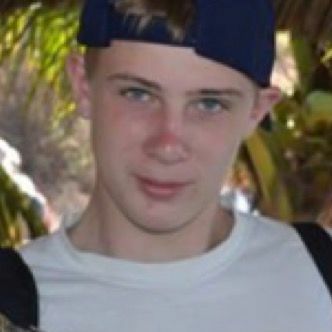 Anyone with any information regarding the whereabouts of Macin Smith is urged to call the St. George Police Department at (435) 627-4300 or his mother Tracey Smith at (435) 256-5509. He’s 6’4 200lbs…a chance of abduction would be a minimal chance. The school should know if he showed up to school on Tuesday. I’m not understanding, did he show up to any classes? Get Home kid, your family is worried about you!